Toffee mousse, roasted and caramel apple, like a party! * All fishery products served raw or undercooked comply with the rules of prevention of anisakiasis. During Lent, we offer you one of the most traditional recipes of this period. 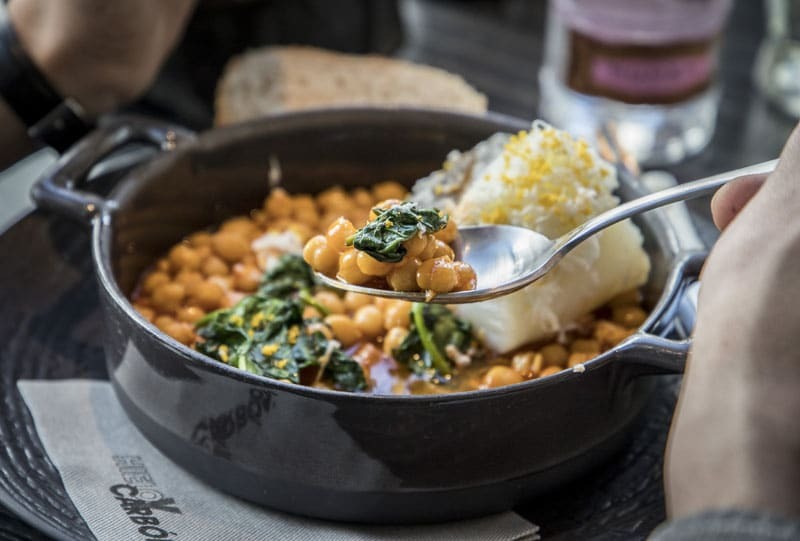 Making use of high-quality ingredients such as; pedrosillano chickpeas of Salamanca, cod and spinach. Discover and immerse yourself in one of the most representative dishes of this time!